TIX @ TICKETMASTER AND IRANIAN MARKETS IN THE BAYAREA. ON FEB 23RD, A GROUP INTERNATIONAL ARTISTS ARE COMING TOGETHER. 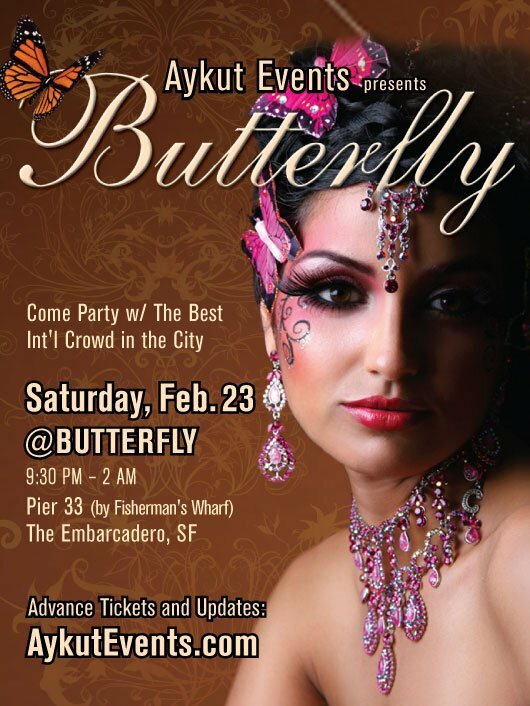 Butterfly - Party on the Waterfront!! 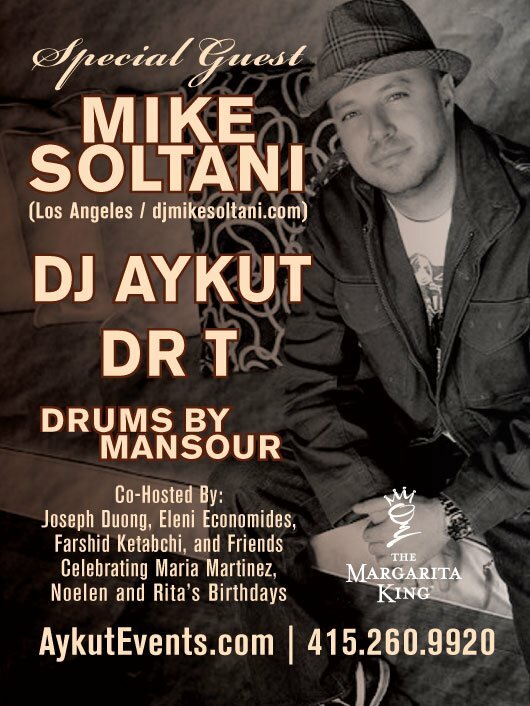 !...Persian DJs, Special Guest from LA, Mike Soltani, Also DR T, Aykut from Istanbul, Drums by Mansour and More!